Testimonials found on this website are actual client reviews of Knabe Law Firm Co., LPA. We appreciate our clients and their willingness to share their experiences. Please keep in mind that the success of any legal matter depends on the unique circumstances of each case: we cannot guarantee particular results for future clients based on successes we have achieved in past legal matters. Kenneth provided me valuable legal service & advice with great results. I highly recommend him as a very knowledgeable, hard-working and dedicated personal injury attorney. I was actually in a second bicycle accident when I was hit by a driver turning right while I was proceeding straight with the right of way. The witness that helped me actually knew Ken as Cleveland’s bicycle accident Lawyer! Of course, I knew him too since he successfully handled my previous bike accident. Mr. Knabe worked up my case by taking numerous photos and videos. He secured my property damage right away. I was hit in my car from behind by a truck on 1-76 in Cleveland. I hired Attorney Kenneth Knabe, who was highly recommended by friends who had successfully hired him in the past. He was also recommended by other friends in our community. We met with Ken on several occasions, and he enabled me to achieve a very good result without having to file a lawsuit. My husband and I were very happy with his services, his communication and the results. We would highly recommend him to anyone involved in an accident. I was in a serious car crash. My sister works in the legal field and highly recommended Attorney Kenneth Knabe. Ken got right on top of things and guided me all the way through to a very satisfactory settlement. He was honest, thorough and kept in excellent communication with me throughout the entire proceeding. Thanks again for taking care of this matter for me. I highly recommend Ken for anyone in a serious car crash. I was in a car accident and hired Ken Knabe who was referred to me by a close friend who had also hired Ken for a major accident. Ken guided me through the process every step of the way and made decisions that helped me receive maximum recovery. I highly recommend him! Several years back, I was involved in a head-on collision that necessitated my being off work for close to four months. As the other driver did not have insurance, I was advised to seek counsel and contacted Ken Knabe. This was one of the best decisions I can sincerely say I’ve ever made. His representation and follow through with my case was concise, thorough and expeditious. His expertise and knowledge base enabled me to capture the uninsured/underinsured portion of my driver’s insurance that I otherwise would not have understood how to acquire. Not only did I secure a positive outcome, but I learned a process from Mr. Knabe that everyone should be aware of. I most assuredly recommend Ken Knabe as a legal counsel not only for his knowledge base, but for his honesty and genuineness. I have been working with Ken Knabe for the last year and a half as I pursued a settlement with an insurance company after my bicycle accident. I was hit by a car while riding my bike and thankfully my helmet saved my life. In trying to negotiate a quick settlement with the insurance company, they offered $500 compensation for my custom LeSartre road bike, laughable. When I asked Bike Cleveland representatives who they recommended, Ken was the first name out of their mouth. From my first interaction with him, I knew he understood my pain and fear associated with my accident. As a fellow cyclist, he empathized with the loss of a great bike and all related trauma in returning to the road. He worked diligently to get the offenders insurance company to pay what was due and helped to get a great resolution to my claim. Thanks to him I have a new bike and have been fully compensated for the ordeal. Now, when anyone asks for a Lawyer, his name will be first out of my mouth too. I am a medical compliance specialist. I was hit head-on by a driver who fell asleep at the wheel. I hired Attorney Kenneth Knabe. He consistently, aggressively and professionally pursued my case until I was able to achieve a favorable settlement against the insurance company. I highly recommend Ken for anyone involved in a serious car accident. I found bicycle attorney Knabe on the internet. I met him at his Lakewood office. Lawyers from a big firm had rejected my case. Mr. Knabe took my case, took photos of the scene and was able to research and establish liability for blocking a bike lane downtown, suddenly opening a door and causing my accident. He knew the law and he actually made them pay with a settlement that was extremely satisfactory. I would highly recommend him for any cyclist who had the misfortune of being hit or injured by a careless driver. You are not a number at his firm. He is hands on and takes it personal when you are hit. I am a local physician and I was in a bike accident. I hired highly recommended fellow cyclist and bike attorney Kenneth Knabe of the Lakewood firm of Brown & Szaller on Madison Avenue. Ken was on top of things from the beginning until the very successful ending. He went above and beyond with great recommendations that helped favorably resolve my case. He even went out in the evening and took photographs that demonstrated there was more than adequate lighting for the at fault driver to see me. He prepared an excellent settlement letter to the insurance company with reports and exhibits in which he detailed and described my damage claims. I highly recommend Ken for his knowledge and expertise in bicycle accidents. I was in a car accident. The insurance company for the at fault driver only offered $2,500.00. Kenneth Knabe took my case to a jury trial. After a 4-day trial, the jury awarded me $75,000.00, 30 times more than the driver's insurance company offered. He fights for his clients. He never backs down from the insurance company. He obtains justice for his clients. I would highly recommend him. I was in a bicycle accident caused by a driver who had no insurance. At the recommendation of several cyclists, I hired a fellow cyclist and bicycle accident Attorney Kenneth Knabe as my lawyer. He made some great recommendations. Through his help, I was able to maximize a settlement from my own uninsured motorist coverage. I would highly recommend him to any cyclist in a bike accident. I was hit by a careless driver on my bike and suffered significant injuries. Bike Cleveland recommended Attorney Ken Knabe. He met me at the bike shop and helped me to get all my property damage paid for. He then followed my medical treatment and recovered the policy limits of the unsafe driver. I highly recommend him for anyone injured in a bike accident. I hired bike attorney Ken Knabe after I was hit by a car while on my bike in Lakewood, Ohio. Mr. Knabe diligently handled my case from start to finish, and I received a very satisfactory settlement. He fought hard for me, and I highly recommend him. Mr. Knabe changed my preconceived notions of attorneys. Easy to speak to, caring, determined and patient. He's always made me feel like he's genuinely on my side. I am grateful for his advisement and how he allowed me to consider all options before making decisions. He kept me involved through the process was prompt in returning calls and answering all questions. I was hit in my car by a snow plow backing up in a parking lot. I hired Attorney Kenneth Knabe who came highly recommended by a good friend of mine. From day one, Ken guided my husband and I through my claim. We rejected the final offer and filed a lawsuit. We finally settled for twice as much at a day long mediation. Throughout this process, we met with Ken on numerous occasions. He was patient and always pointed us in the right direction making this stressful process much easier to handle. He took an aggressive approach to establishing fault which paid big dividends for us. He always believed in my case and fought very hard for me and my family. He is an excellent Attorney who really cares and fights for his clients. I would highly recommend him for anyone unfortunate enough to be in a car accident. I was involved in a serious car crash and hired Attorney Ken Knabe. He consistently and aggressively pursued my case until I was able to achieve a favorable settlement. I was very happy with his services and his honesty. I would highly recommend him for anyone involved in a serious car crash. Attorney Kenneth J Knabe represented me in an injury case as a result of an auto accident which occurred in Madison Wisconsin. I relocated back to the Cleveland area six months after the accident and contacted Attorney Kenneth J Knabe after returning. He was very thorough, very pleasant and diligent. His experience shined through and gave us great confidence in proceeding as he directed. The outcome was quite satisfactory. I highly recommended him. He proved to me that he has the experience, skill and knowledge to achieve a satisfactory outcome. I was in a bad car crash. The other driver denied responsibility for causing it. My dad suggested I hire Attorney Kenneth Knabe who had represented him in the past in a personal injury claim which turned out well. Mr. Knabe immediately filed a lawsuit, took depositions and established that the other driver was at fault, despite her insurance company's previous denial. Mr. Knabe is a lawyer that will actually take your case to court and win. I was very happy with his services and would highly recommend him for anyone in a car accident. Kenneth is a thoughtful, intelligent attorney who compassionately provides his clients with the highest level of legal services. He treats his cases with a wonderful combination of detail, tenacity and care. I highly recommend Kenneth for anyone injured in an accident. While cycling home from work in June 2018, I was hit by an SUV and suffered serious injuries. It was a hit and skip, with an uninsured driver. I found Ken through Bike Cleveland. Ken took charge of the legal and insurance claims and demystified the jargon for me so that I could focus on my physical recovery. He was responsive, courteous, professional, and he really knows the rights of cyclists. He made my case a priority and had me feeling like I was his only client. I was very satisfied with the claim and have completely recovered from my injuries. I’m happy to say that I’m back in the saddle. Thanks Ken. I hired Ken Knabe to represent me when I was hit by a car while riding my bicycle. We met several times. He was very thorough and up to date with all my Doctors. I received an excellent settlement. Even my Doctor was impressed by his preparation and knowledge of my injuries. Ken is honest, aggressive and a very good lawyer. I would highly recommend him. A car hit me while I was riding my bicycle in Shaker Heights, Ohio. Friends recommended Attorney Ken Knabe, who I hired. The driver denied responsibility, and his insurance company offered nothing initially. Mr. Knabe prepared legal action on my behalf, which included his hiring an accident reconstruction expert who prepared a scale diagram of the scene. This refuted the driver’s version of the crash and supported mine. I attended the driver’s deposition, and Mr. Knabe’s well prepared and thoughtful questions elicited answers that clearly supported my version of the crash. The at-fault driver’s insurance company settled at a mediation meeting with their offer going from zero to multiple six figures! The crash was a difficult experience for me, and Ken’s compassion, dedication, and expertise resulted in the best possible outcome. He is an avid cyclist himself who cares about and knows how to protect cyclists by properly and thoroughly handling a bike injury claim. I very highly recommend him to any cyclist involved in a serious crash caused by an unsafe driver. I was in a bicycle accident in 2014 when an older woman turned left and hit me. At the suggestion of many other cyclists, I hired bicycle accident attorney, Kenneth Knabe. Ken is not only an injury attorney, but also an avid cyclist who knows both bicycle and injury law. He followed my progress closely, kept in constant touch, and when I was finished treating, prepared a very comprehensive and complete "Demand Letter" to the woman's insurance company resulting in a favorable settlement without ever even having to go to court. Ken really does take it personal when a member of the bike community is hit by a careless driver. I highly recommend him. Outstanding! Several members of my Ironman training group referred me to cyclist attorney, Kenneth J. Knabe after I was hit by a car while riding my bike at the Metroparks. I hired Mr. Knabe. He immediately helped me recover full value for my bicycle and accessories and took no fee on the property damage. He then patiently guided me through my medical treatment process, took photos of my injuries, documented my damages and obtained reports from my doctor. I was very satisfied with the settlement I received. I highly recommend him for anyone in a bike accident. He really knows bike and injury law as an attorney and fellow cyclist. A car hit me while I was commuting to work on my bike in Cleveland Heights. The at-fault driver’s insurance company offered to settle right away. Before meeting with the insurance company, I called Bike Cleveland who recommended that I talk to Kenneth Knabe, Greater Cleveland’s Bicycle Accident Attorney. I called Kenneth. His advice was to cancel the meeting because it was much too early to assess the real extent of my injuries. I cancelled the meeting and hired Ken. Turns out Ken was completely right - I had a far more serious injury than what I originally had realized. Mr. Knabe ended up settling my case for around 30 times more than what the insurance company was offering me (and what I would have accepted if not for Mr. Knabe’s advice). If you are injured in a bike accident, do not try to handle it yourself. Go to a pro who knows bike and injury law. I highly recommend Attorney Kenneth Knabe for anyone injured in a bike accident! I was lifted by life flight to MetroHealth Burn and Trauma Center with 30% burns, head trauma, and severe wounds from shrapnel, including the loss of my right eye…Months later…we interviewed several of the area’s finest law firms, some of which were very large and nationally known. It was an extremely difficult decision, but for several reasons, mainly honesty, we hired attorney Kenneth J. Knabe of Brown & Szaller Co., L.P.A. (now Knabe Law Firm Co., L.P.A.) to represent us. In the four years that followed, before the conclusion of litigation, I cannot imagine what we would have done without Ken’s constant advice and personal attention to our needs. From the start, my entire family felt very comfortable with Ken. He is not only a very good attorney, but an honest one. We felt that, at any time of the day or night, if we had any questions or problems, we could call him. He concentrated on getting what we deserved. I remember being very impressed and thinking this guy is not some ambulance chaser trying to make a fast buck off someone’s misery. I was extremely happy with the confidential settlement Ken was able to obtain for us. In addition, we were not just “let go”, but introduced to a financial group by Ken to set up a structure for our settlement. Ken is an extremely competent and honest attorney. I highly recommend his services to anyone. I was riding my bicycle down Detroit Avenue as I commute to and from work on my bike. A car hit me and knocked me off my bike. I fell on the curb and was injured. The driver had no insurance but still blamed me for allegedly "weaving". I wasn't weaving and was on the right side of the road. I hired Attorney Kenneth J. Knabe of Brown and Szaller (now Knabe Law Firm) who made a claim for me under my own uninsured motorist coverage on my car. Mr. Knabe is a cyclist himself and fully understood my plight and could easily grasp the circumstances of my situation. He argued liability based on Cleveland's three foot safe passing distance Ordinance. Mr. Knabe was prompt personable professional and courteous. He kept in communication with me throughout the whole process. I received a very satisfactory settlement; much more than I expected. I would highly recommend him as an Attorney, especially for a bicycle accident. I was in a car accident when a driver pulled out of a driveway and hit my car. The insurance company for the at-fault driver refused to pay my claim and argued this was a “minor impact” and that my injury was somehow pre-existing. Mr. Knabe fought for me through the entire legal process. He filed a Lawsuit and took depositions. He took the time to fully prepare me for my deposition. He achieved a very favorable settlement for me on the eve of trial. Mr. Knabe has great communication skills; he kept me informed and relaxed during this unfamiliar and stressful legal process. He never backed down from the insurance company and gave me great advice. He was caring and compassionate. I highly recommend Attorney Knabe for anyone injured in an accident. I hired Attorney Kenneth Knabe after I was involved in a traffic crash. He kept in touch throughout my medical treatment and gave me good advice and direction on various issues. I highly recommend Ken for anyone involved in a serious car accident. I truly appreciate the fair and honest representation provided by Mr. Knabe. After my injury, I could barely function, much less deal with the frustrations from insurance companies and medical bills. Mr. Knabe handled every detail and kept me informed throughout the entire process. Through his hard work and dedication, I received an excellent settlement. I was hit from behind while riding my bicycle by a hit and run driver. 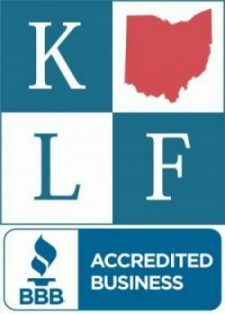 I contacted bicycle accident Attorney Kenneth Knabe as he was highly recommended by Bike Cleveland. Mr. Knabe is an avid cyclist himself. He gathered all my physical bike, helmet, shorts, jersey, shoes and related gear damage evidence, photographed it and obtained estimates which resulted in full payment for all my extensive property loss. He did this as a favor and charged no fee on the property damage. He then made a personal injury claim under my auto's uninsured motorist coverage which resulted in a very favorable settlement. He kept in contact throughout all of my medical treatment. We interacted on numerous occasions as he stayed on top of my case until the very end. He is well known and respected in the cyclist and legal community. I highly recommend him for his knowledge and expertise in bicycle accident cases! Truly Exceptional. I hired Lakewood Attorney Ken Knabe after being involved in an automobile crash. A former client highly recommended him to me because he took her matter to trial and won big. Also, a friend of mine, who is a long time local county judge, highly recommended his services and confirmed his stellar reputation. I was very happy with his services. He wrote a comprehensive letter on my behalf which resulted in a favorable settlement. He contacted my medical providers and obtained pertinent reports which helped my claim against the at-fault insurance company. He was thorough and diligent. I highly recommend him for anyone in an auto crash. We without reservation recommend our attorney Kenneth Knabe to all, and especially to anyone involved in a bicycling case. I was seriously injured in a vehicle-bicycle crash involving many riders, some of whom were killed. The fact that Ken was a bicyclist himself, and his knowledge and experience with bicycling accident cases and law made me much more confident and assured while we navigated the complexities of the cases. Ken made the best of preparation, actually riding the route the cyclists took. He helped to clarify all that happened in the civil litigation, communicated as much as we needed, and helped prepare us thoroughly for the deposition. All in all, you could see the caring he exhibited, being a fellow cyclist. We are very grateful, and highly recommend Ken Knabe. I was in a hit and run crash on Orange Avenue in Cleveland. I hired Mr. Knabe who did a great job for me. He always communicated with me and guided me through a complicated insurance situation. He fought hard to get me a settlement I was very happy to receive. I would highly recommend Mr. Knabe. Thank you again and profoundly Ken, for all of your legal help to me at a time of my greatest need and suffering. Among lawyers, no one exceeds you in competence and also in integrity.